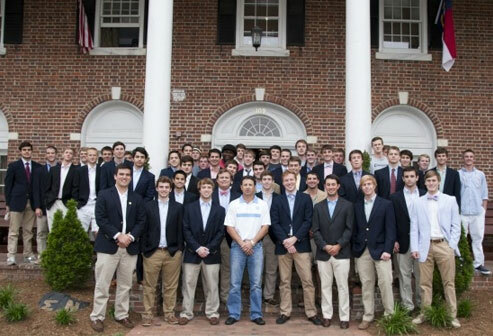 Psi Chapter of Sigma Nu at UNC - They Will Soon Be Alumni: Where Are They Headed? In less than a month, several of our brothers will walk the bridge from undergraduate to graduate. It is a big step. Are you looking to hire a new grad? Interested in being a mentor? We will be highlighting these graduating seniors over the next few months. This month, take a few minutes to read about Nick Binz ’15. Nick hails from Charlottesville, Va., but grew up in Holly Springs, N.C. He will soon graduate with a B.S. in business administration from the Kenan-Flagler Business School and a minor in chemistry. Nick recently took a job with the Huron Consulting Group as a healthcare analyst in Charlotte. During his time at Sigma Nu, Nick was both the treasurer and the assistant treasurer spanning his sophomore and junior years. It was the connections he made with some of the older brothers during the recruitment period that landed him at Sigma Nu.